Scooby-Doo Jack-O-Lantern. This is a picture of Scooby-Doo and Sponge Bob jack-o-lanterns.. HD Wallpaper and background images in the Scooby-Doo club tagged: scooby doo sponge bob squarepants cartoons halloween pumpkins jack o lanterns holidays pictures pics photos. 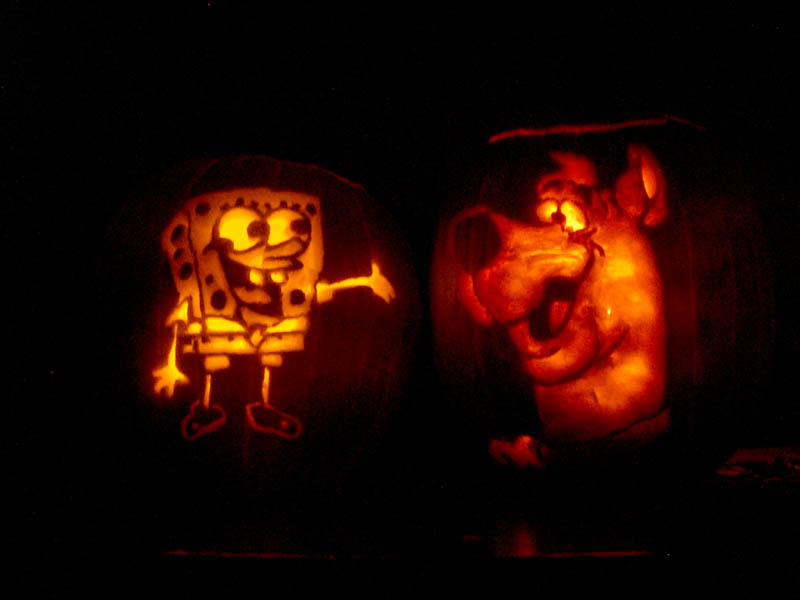 This is a picture of Scooby-Doo and Sponge Bob jack-o-lanterns.